← And thar she goes! Wow, are we about halfway now? It seems like yesterday in some respects, and forever in others. I’m off to a good week so far. The best news is I’ve finished my edits of My Fair Vampire and have sent the MS to three beta readers, with requests out to a couple of other likely prospects. Squee!! Got all my new words in, all my blog posts in and did my first of three flash fiction challenges for February. I should be submitting my February contest entry by this weekend, at the latest, but hopefully before the next report. I’ve had a good few days. I’m pleased. 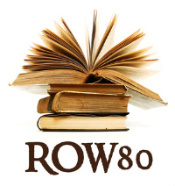 You can find other intrepid ROW80’ers here. Give ’em a quick comment of encouragement if you can. No kidding a good few days!!! You are rocking on your edits, blog, and shorts – what’s not to like? 🙂 Go squee your head off – you deserve it! Halfway? Yee gads. Now I’m really scared about how much I’ve backslid on my ROW80 goals. Congratulations on getting your WIP off to the beta readers. Love your stats page. Maybe I can try that! Happy writing. Nice work, Claire! Congrats on getting your MS out the door, your blogging, and the flash fiction 🙂 I love stopping by here – your site is cozy and the energy is always good. And, the inspiration is unbeatable. Thank you, Shari. That has to be one of the nicest compliments I’ve ever received about my blog. Talk about encouraging! Thanks so much. It’s crazy how keeping track really makes the time go by differently. I keep thinking we’re nearly done then I realise we’ve over a month left so yay to the amount we’ve already accomplished. Good luck with the betas, hope it goes well – it’s the most nerve-wracking/exciting stage for me. Shari is only now realizing she responded to the same post 2x. Yipes. well, um, I’m enthusiastic…..? One more day in my life…in Twitville.